Great for Wedding or Anniversary Gift. 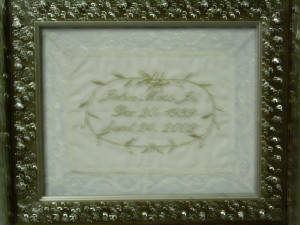 Also Available in Silver W/Silver Frame. 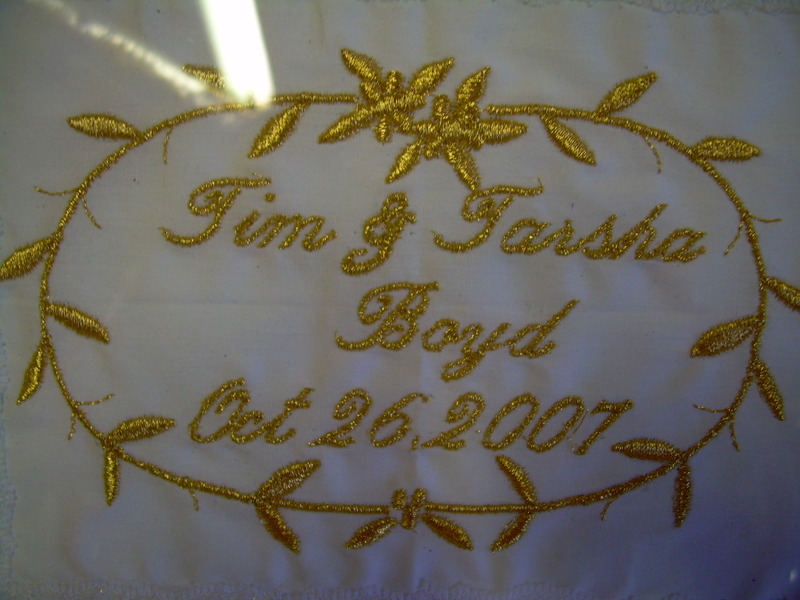 Gold Wedding Names & Date Monogrammed on white cotton fabric & trimmed w/white lace. Total size is 8x10 without frame. Also Available in Silver Monogramming. 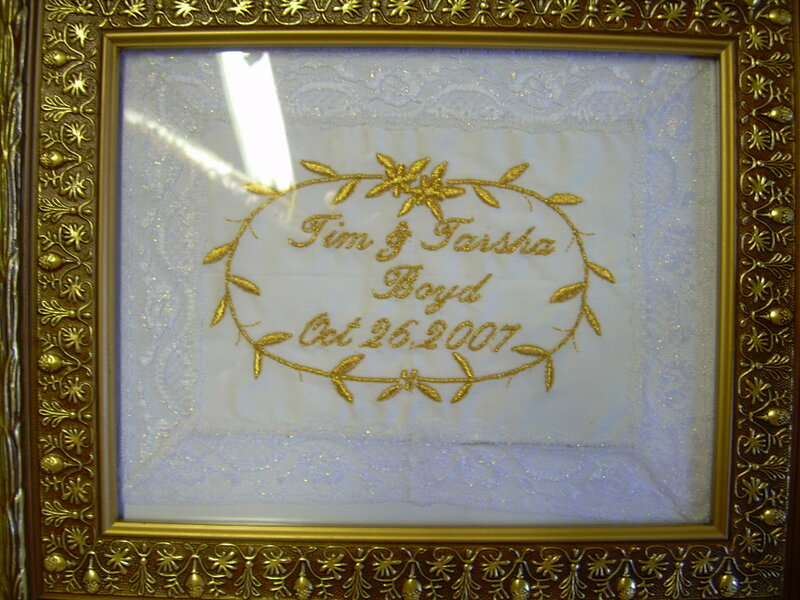 Silver Memorial Name, Date of Birth & Date of Death monogrammed on white cotton fabric & trimmed w/white lace, & mounted inside a Silver 8x10 Frame. Also available in Gold W/Gold Frame. 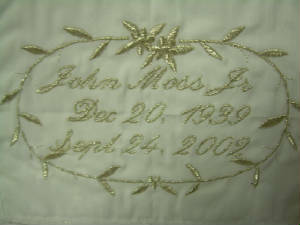 Silver Memorial Name, Date of Birth & Date of Death monogrammed on white cotton fabric & trimmed w/white lace. Total size w/out fram is 8x10. Also available in Gold monogramming.